Bone Broth Benefits on the Immune System, Leaky Gut, Joint Pain & More! 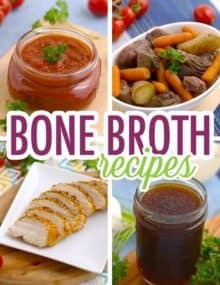 When I first heard of bone broth, my immediate reaction was, ‘ew.’ Who wants to drink a broth made of bones?! Then, I started learning about all of these supposed bone broth benefits. It’s loaded with protein, it boosts the immune system it can improve bone and skin health. And, it may even help to heal leaky gut?! Obviously, I was skeptical. But, as I delved into the research, my mind started to open. In case you didn’t know this either, just about every broth and stock is made using bones. Of course, they’re removed before the broth is used in cooking… But, I still wasn’t so keen on giving bone broth a try. Then, I learned those bones happen to be a pretty potent source of some amazing nutrients. 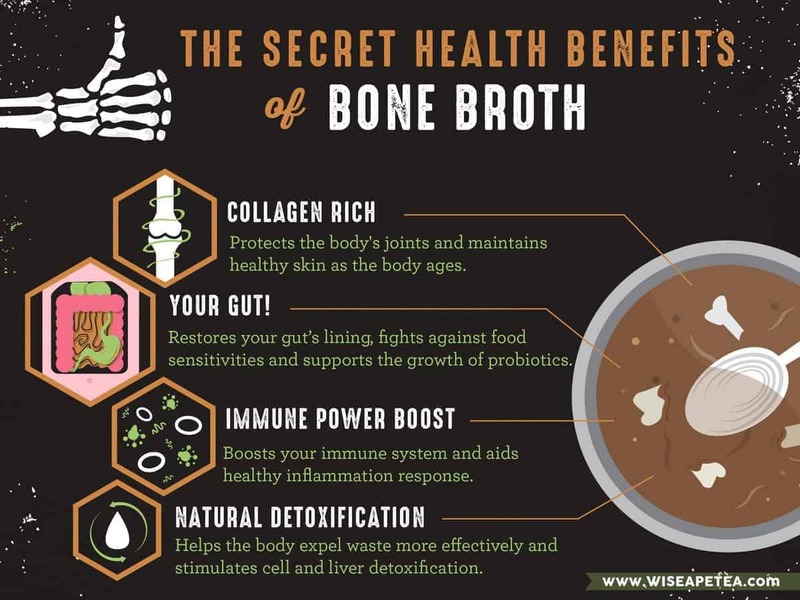 And that’s why there’s such a hullabaloo about these bone broth benefits! Making bone broth is just a means by which we can access the nutrients in those bones. (Also, it’s actually pretty darn tasty, I have to say.) So, if you’re a skeptic too, keep an open mind. 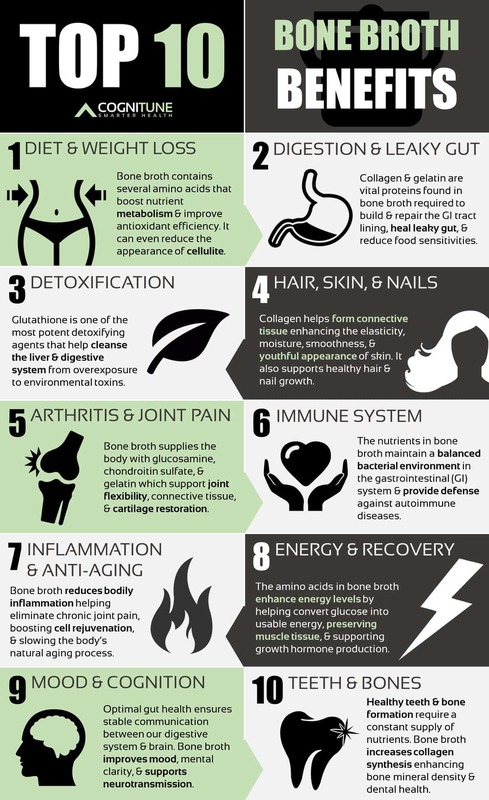 There’s some pretty compelling science behind how bone broth benefits our bodies and can improve our health! And, of course, we’re diving right into it. If ‘bone broth’ puts an image of hungry cavemen in your head, you’re on the right track (sort of). Back in the day, our cavemen ancestors made bone broth as one of the many ways to use every part of an animal. The oh-so-appetizing bones, marrow, tendons, ligaments, and feet of animals aren’t edible, but they’re still loaded with nutrients! So, humans learned to boil and simmer those odds and ends for several days, allowing those nutrients to seep out of the bones an into their broth. Throughout history, bone broth has been a cheap, nutritious cooking staple in many different cultures! But now, bone broth is just making its comeback. Seriously though, it’s pretty simple: simmer bones in water for a long time and you get bone broth. But, it’s not just any old broth like most you find in the grocery store. Traditionally, broth is made with meat and just a few bones, simmers for a short time (1-2 hours), and is rich in protein. Then, there’s stock, which is made from bones with a bit of meat left on them and simmers a while longer (3-4 hours). And, that longer simmer allows more healthy minerals and some gelatin to seep into the stock. Finally, bone broth is similar to stock, except that it simmers MUCH longer—usually 24 hours or more! So, that longer period of time means most of the gelatin, nutrients, amino acids, and minerals seep out of the bones and into the bone broth. Thus, why some bone-broth lovers call it ‘nature’s multivitamin.’ And, it makes the broth more flavorful! If that sounds like too much work for you, there are plenty of bone broth varieties available at grocery stores. But, homemade bone broth is generally more nutrient-rich and you don’t have to worry about any additives! 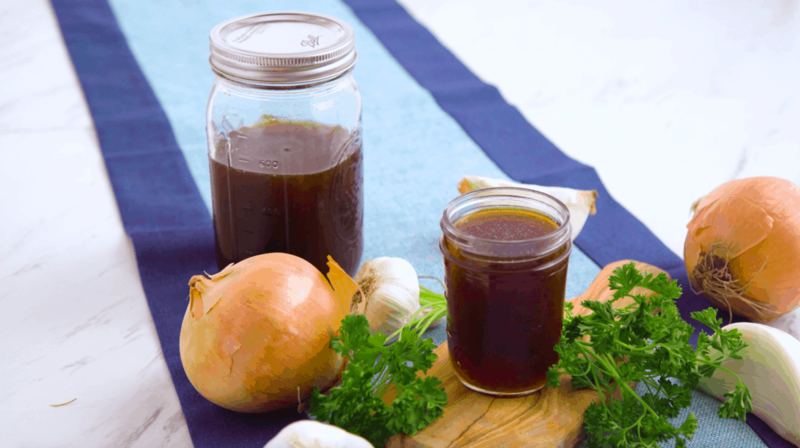 The long list of bone broth benefits is a result of its really long simmering time. First, bone broth is low in calories (it’s just a broth, after all), but high in protein and minerals. Just 1 cup has around 10 grams of protein! And, that protein comes from nearly 20 different essential and non-essential amino acids that leach into the broth. These amino acids help heal and protect our bodies in all sorts of ways, and bone broth has A LOT of them. Plus, the calcium, magnesium, phosphorus, and many other essential minerals help flush out toxins and reduce inflammation in our bodies. Many of us don’t get enough of these minerals from other foods, so bone broth can be a good source. And, combined with the many amino acids, these minerals can help speed up some of our body’s healing processes. For example, we’ve all been told that the calcium milk makes our bones strong! But, our bodies actually don’t absorb much of the calcium in milk (only about 30% of it). But, if you do have G.I. problems, you can still reap these bone broth benefits because of its easy digestibility. And, it may even be MORE beneficial to you, and might help your gut to heal! So, before we dive into the specific bone broth benefits and the science behind them, let’s get real for a moment. Yes, bone broth CAN provide some significant health benefits. If you’re deficient in certain nutrients like amino acids or essential minerals, bone broth can help make up for the lack. And, if you’re dealing with gut issues, bone broth is an easy-to-digest source of nutrients. And, it may also help your gut heal. BUT, bone broth isn’t a magical health potion. It won’t cure all ills, make you look younger, and help you drop 10 pounds instantly. The nutrients and compounds in bone broth can have beneficial properties. But, how your body uses those nutrients will differ from somebody else’s. And, bone broth is not a suitable replacement for real, whole foods. It’s a great source of protein, but it shouldn’t replace meats, chicken, eggs, or other sources of protein! All-in-all, the research on bone broth benefits is still new and emerging. We can’t say for certain that bone broth will benefit everyone in the same way. But, there’s some good news: bone broth doesn’t have any studied negative side effects, so chug away! What’ve you got to lose? Now onto these bone broth benefits! Let’s go back to some old-school conventional wisdom: when you’re sick, have some chicken soup! Turns out, there IS some science to back it up. Several studies found that chicken soup actually can ease symptoms of upper respiratory infections in people with a cold! Since chicken soup is made with chicken broth or stock, it also contains some healing amino acids and minerals like bone broth. And, those easy-to-absorb nutrients (even in some store-bought broths) can fight off inflammation in the body! By fighting off inflammation in the upper respiratory tract, chicken soup can help us recover when we’re sick. 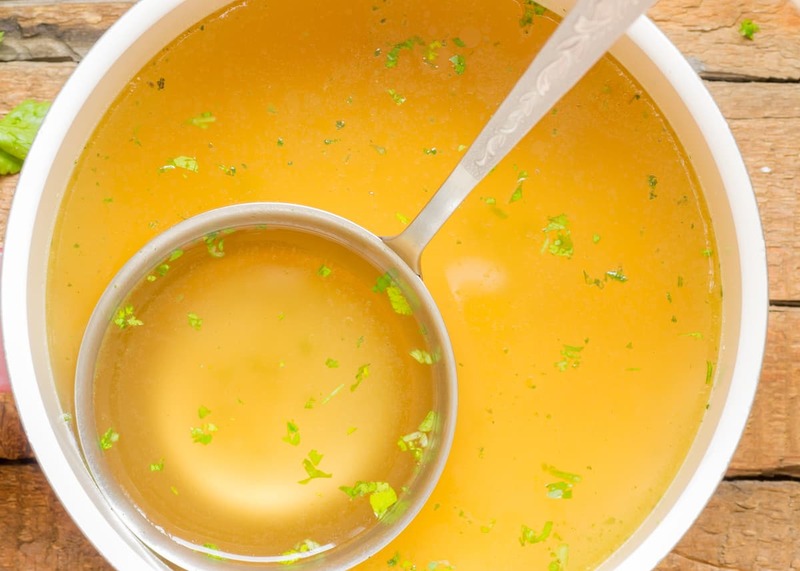 Researchers believe the amino acids in broths and stocks—like arginine, cysteine, and glutamine—help reduce inflammation and boost our immunity. In foods and our bodies, amino acids are the building blocks of proteins. And, proteins play a crucial role in TONS of bodily functions and maintaining our health. Now, some amino acids are essential, meaning our bodies can’t make them so we have to get them from food. Others are non-essential, because our bodies can produce them. But, when we’re sick or stressed, our bodies don’t produce those non-essential amino acids as well. And that’s when we need those amino acids the most, to help us heal! But, chicken soup—and especially longer-simmering bone broths—can help compensate for the lack. So, the amino acids and anti-inflammatory bone broth benefits make it a powerful immune-system booster. And it may help to shorten and prevent colds and some illnesses! Now, these anti-inflammatory bone broth benefits aren’t just limited to our upper respiratory tract. They can help reduce inflammation in many places in our body. And, as we’re starting to see that chronic inflammation plays a role in almost every chronic disease, the more anti-inflammatory foods the better! Those highly bioavailable amino acids can even help with other inflammatory problems—like allergies, food sensitivities, asthma, and arthritis! All of these conditions involve an inflammatory response by the immune system. So, by regulating that inflammatory response, we regulate our immune system. Then, there’s the potential to change how our body responds to foods we’re sensitive or allergic to, as well as asthma triggers. And, reducing inflammation can reduce joint pain associated with arthritis. Bone broth also contains two powerful inflammation-reducing compounds: chondroitin sulfate and glucosamine. These are often sold (at a high price) as supplements for joint pain. But, you can get them in their natural, easy-to-absorb form from bone broth! But, the anti-inflammatory benefits don’t stop there. One of the essential amino acids in bone broth, L-glutamine, has some powerful anti-inflammatory benefits. In particular, L-glutamine can reduce inflammation in the gut. And, inflammation in the gut is associated with all sorts of health problems like leaky gut, IBS and IBD. Plus, other autoimmune diseases that aren’t related to the digestive tract. Why? Because the health of our gut and our gut lining are linked to the overall health of our immune system. 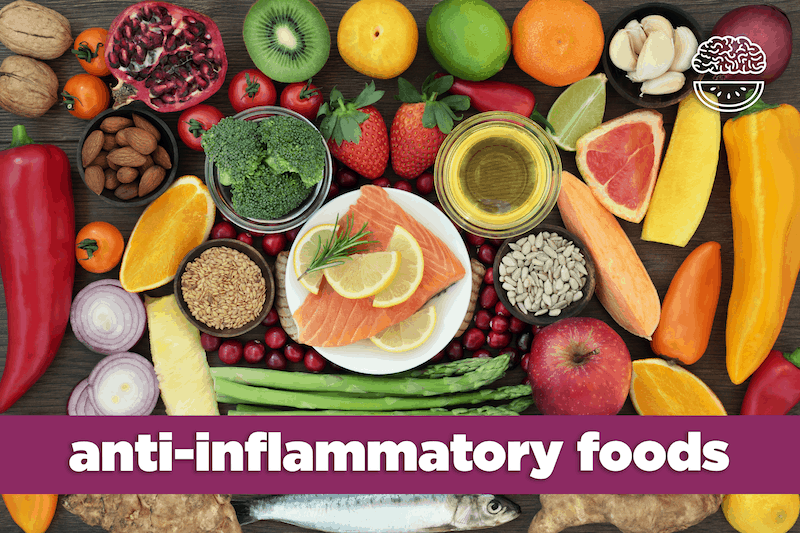 Check out these posts to learn more about Inflammatory Foods & Chronic Inflammation 101, and the 17 Anti-Inflammatory Foods Your Body Needs NOW! 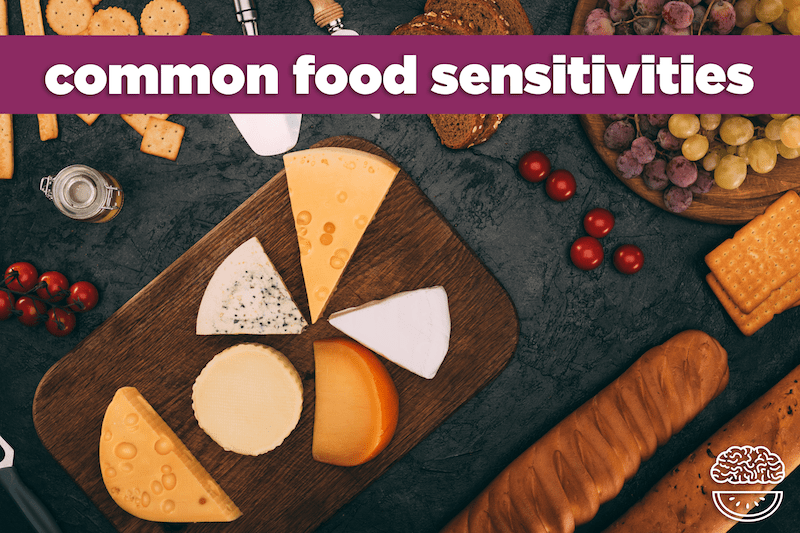 In our Common Food Sensitivities post, we talked about issues related to gut inflammation, like leaky gut and autoimmune diseases. Our gut has a mucous lining that controls which particles move out of our gut and into the bloodstream. But, digestive strain and chronic inflammation can damage our gut lining, making it more permeable (a.k.a. ‘leaky’). And, a leaky gut can prevent us from absorbing nutrients, worsen food sensitivities, mess with healthy gut bacteria, and even lead to autoimmune diseases. Luckily, bone broth contains TONS of gut-healing nutrients and compounds! First, studies show that the gelatin produced in making bone broth helps reduce inflammation in the gut and protects its mucous lining. And, the collagen that produces gelatin can soothe an inflamed gut lining and ease symptoms of IBS, IBD, or even acid reflux. Also, gelatin promotes the growth of good gut bacteria, helping to rebalance our gut microbiome. A lack of good gut bacteria can not only cause digestive problems, but also unwanted weight gain. Plus, it can even affect our brain, causing increased anxiety, mood problems, and an overactive stress response. And, bone broth’s heal-and-seal effect is amplified by the anti-inflammatory amino acid, L-glutamine. Numerous studies on L-glutamine show that it can protect our gut lining from becoming permeable. Plus, it can help patients with existing gut problems, like those managing IBD! Since its nutrients are so readily absorbable, these potential bone broth benefits can make a major difference. Patching holes in the gut can ease all sorts of issues, like constipation, chronic diarrhea, and even food intolerances. And, bone broth benefits people who don’t yet have a leaky gut by protecting a healthy gut lining from breakdown! 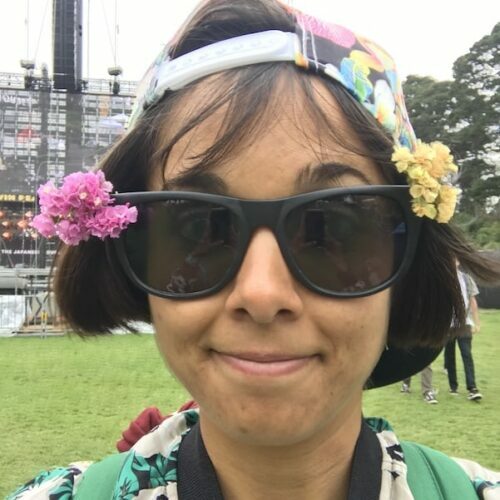 Learn more about leaky gut, and its connection to Common Food Sensitivities & Autoimmune Diseases! Collagen isn’t just in animal bones—it’s also an integral component in our bones, joints, and cartilage. But, as we age, our joints degrade and cartilage diminishes. Since bone broth is one of the only sources of natural collagen, it can help restore cartilage and joint health. And, studies even show that increasing collagen intake improves joint discomfort in serious athletes! Along with collagen, gelatin helps us form and strengthen bones, and can prevent bone loss with aging. Plus, gelatin has a soft, cushion-y texture. 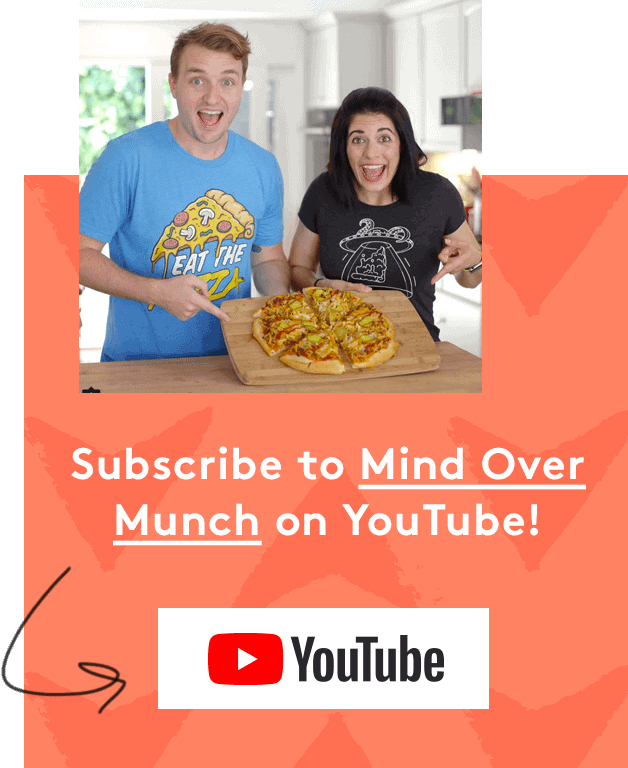 (After all, gelatin is what makes Jell-o jiggly!) And, that cushioning lessens the friction between our bones, helping them glide more easily and cause us less pain. Also, that pricey joint supplement found naturally in bone broth, chondroitin sulfate, can help prevent osteoarthritis! Finally, the essential minerals and amino acids in bone broth play a major role in our bone and muscle health. If you think about it, this makes sense—minerals in healthy animal bones seep into bone broth, becoming nutrients for our bones! Not only calcium, but MANY other minerals also contribute to bone formation. Magnesium processes calcium so our bodies can use it. Phosphorus combines with calcium to strengthen our bones and teeth. Then, there’s potassium, zinc, manganese, iron, copper, and all sorts of vitamins that are crucial to bone health—and bone broth has ‘em all! Plus, its amino acids help build, repair, and maintain our healthy muscle tissue. Some, like glycine, even help slow and prevent loss of skeletal muscle and cartilage as we age! This arsenal of easy-to-absorb nutrients means bone broth benefits our bones in a major way. Forget ‘got milk’—Got Bone Broth?! Essential minerals have many different functions in the body, one of which is flushing out toxins. And, with so many environmental toxins out there today—pesticides, chemicals, artificial ingredients—our bodies need all the help they can get. The minerals in bone broth can boost the body’s ability to expel waste and help the liver process toxins. And, they can even improve how well our body uses antioxidants. Bone broth is rich in potassium and sulfur, which are toxin-flushing superstars in the body. And, even some of the amino acids in bone broth have detoxifying benefits. Glycine supports detoxification in our cells and liver. And, glutathione is another detoxifier that also can lower oxidative stress. It helps to remove toxic heavy metals like mercury and lead from the body, as well as improve our use of free-radical fighting antioxidants. Plus, many of bone broth’s minerals offer electrolytes, which help rehydrate the body and maximize its detox potential! Finally, one of the most beloved bone broth benefits: promoting healthy skin and reducing signs of aging. Because who doesn’t want to look younger?! You’ve probably heard of collagen in relation to your skin—it’s the protein that gives skin its healthy, youthful appearance. And, studies show that collagen supplementation can improve skin elasticity and decrease signs of aging, like wrinkles and puffiness. Plus, collagen may even help reduce cellulite! Cellulite forms because of a lack of connective tissue, causing our skin to lose its firm tone. Luckily, collagen can help build up that connective tissue and restore firmness. Also, the amino acid proline that’s found in bone broth provides some skin benefits. It can improve our skin’s elasticity and smoothness—as well as keep our arteries from stiffening! Granted, consuming collagen in food doesn’t automatically translate to injecting collagen in our skin. So we can’t expect drinking bone broth to magically erase our cellulite or give us a natural face lift. But, the collagen in bone broth can still provide a bit of a boost! For MAXIMUM bone broth benefits, you’re better off making your own at home. 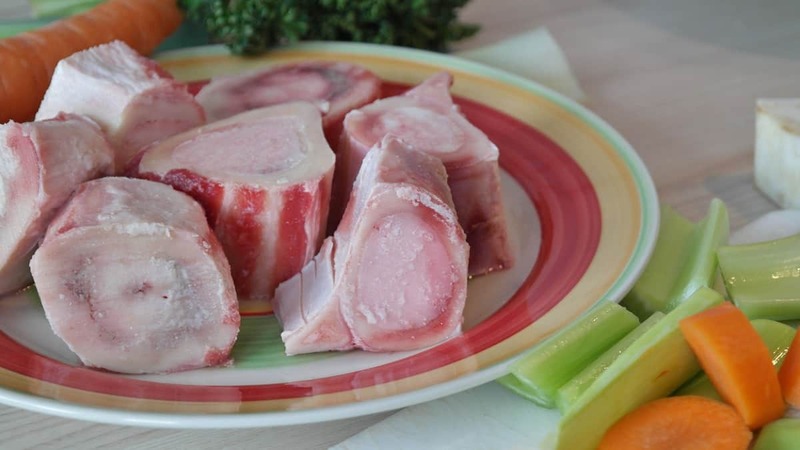 Homemade bone broth will have far more collagen, gelatin, amino acids, and essential minerals. And, YOU can choose which bones you use to make your broth. 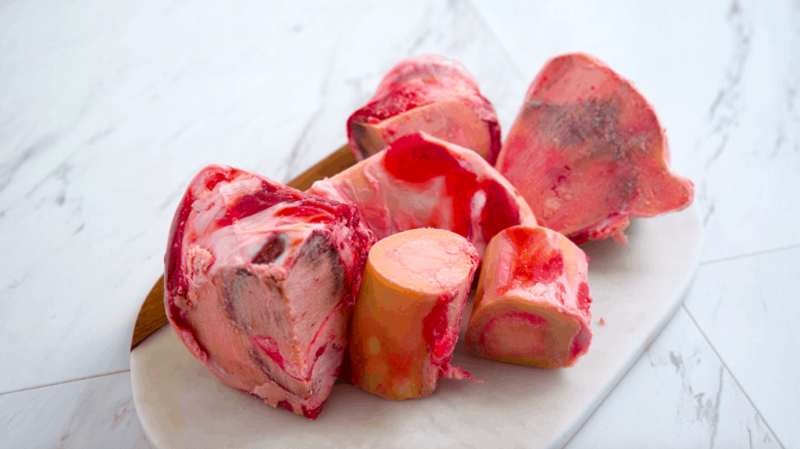 For the cleanest and most nutritious bone broth, choose high-quality bones from grass-fed meat, pasture-raised poultry, or wild-caught fish. Nowadays, you even can find bones at some grocery stores! Or, you can ask your local butcher. Making bone broth may take some time, but it requires very little effort. And, once you’ve made a batch, you can use it in all sorts of recipes, like you would use any other broth. 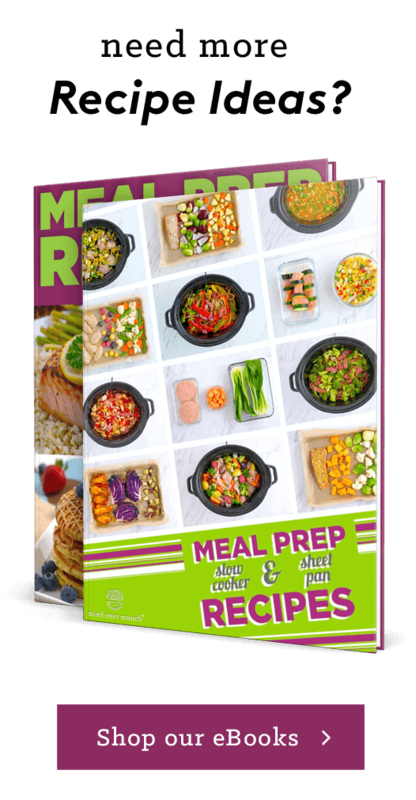 Use it as a base for soups and stews, cook your veggies in it, or just enjoy it as a warm drink! There are tons of tasty ways to use bone broth, so you can reap all of the amazing bone broth benefits. If you’re curious about how to make bone broth at home, check out my video & my FREE eBook that you can download!